As the stock market continued its volatile swings this week, investors at the BIO Investor Forum—which wrapped up today in San Francisco—seemed to take it all in stride and remain focused on the long-term promise of advancements and breakthroughs in the life sciences. Attendance was up over previous years and included attendees from 34 countries, giving the event a distinctly international flavor. Many were drawn to the conference’s expertly led panel sessions and the opportunity to seek and find collaborators and partners. Some topics covered in the educational sessions were not on the horizon five years ago. One panel covered investments in microbiome-related companies which have accelerated over the past three years, demonstrating high investor expectations for a myriad of applications beyond gut and digestion-related therapies. Other sessions looked at the ever-increasing digital space, exploring the benefits from the collaboration of biopharma and digital therapy providers, new analytical techniques utilizing digital health care records and applying artificial intelligence to improve therapy development. A record number of meetings scheduled through BIO One-on-One Partnering—over 3,000! —reflected the enthusiasm for the great science that is fueling investment in biotech start-ups. Partnering increased nine percent over last year. The event attracted the most investors in 10 years. Over 320 qualified private equity and public investors from around the world, particularly Asia, attended the conference this year. Interest from the investment community is on the rise for rapidly evolving areas of scientific and medical discoveries like gene therapy, cell therapy, genome editing and other innovative technologies. But don’t take our word for it. These attendees shared their #BIF18 experience with us during the last two days. BIO’s buzz center hosted interviews with thought-leaders focused on breakthrough technologies and the investment climate for biotechnology. A gallery of photos highlights the networking that may lead to the next advancements in life-saving treatments. 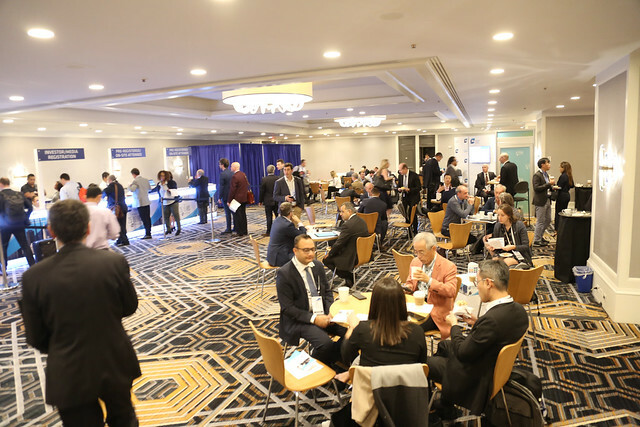 The Conference program offered provocative and thought-provoking sessions on attracting Chinese investors, new CFIUS review regulations, investment strategies, new research on Alzheimer’s treatments and more. A Virtual Attendee Package including panels, therapeutic sessions and fireside chats from the 2018 Investor Forum is available for purchase here. BIO sponsors meetings and conferences throughout the year that support industry-wide success. The full list of events is on the BIO website.